It is a challenging task for every person to keep the property and to surround free from pests! In comparison to indoors, you can find wide varieties of insects and bugs in the outdoors. There is not a single place where you will not find insects, and bugs of different species. Different insects and bugs dwell in trees, water, shrubs, soil, and other household commodities. Different species of pests remain active throughout the year and the day. The insect species dwell in varying habitats under different circumstances. The insects cause significant damages to the property and also are annoying. The pests in your property can also cause several diseases. 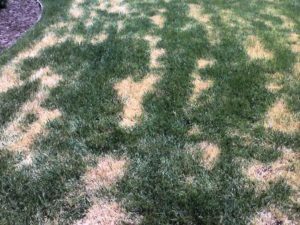 Every homeowner or tenant must learn about the different types of lawn damaging insects and bugs. You must have proper info about the pests that invade your lane and cause extensive damages to your property. You also must know the health concerns for the lawn pests. You must take instant actions for Lawn Pest Control if you wish to live in a safe and healthy environment. You can use various DIY products to control the invaders, but it is rewarding to appoint highly experienced and certified pest controllers.